Okay, Child’s Play. You have our attention. 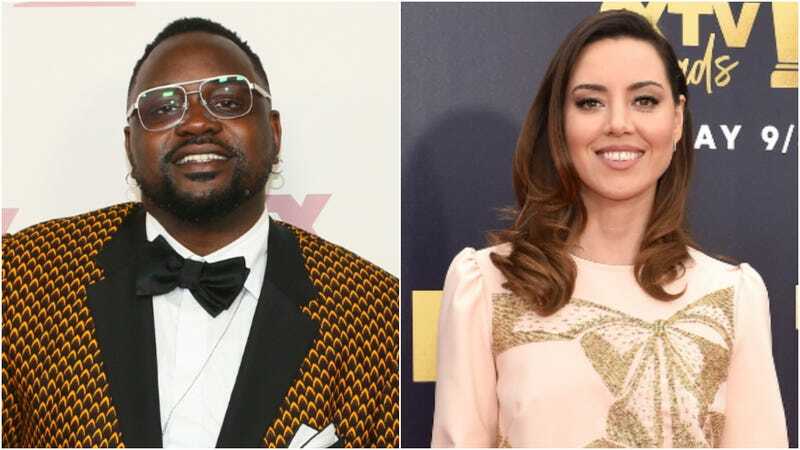 Collider reports that the upcoming reboot of the murder-doll horror franchise has snagged recent Emmy nominee Brian Tyree Henry (Atlanta) and Janet Snakehole herself, Aubrey Plaza (Parks And Recreation), for its cast; the news has since been confirmed by EW. The film will reportedly reframe the story of the original seven films, which centered on a Good Guy doll named Chucky that became home to the soul of serial killer Charles Lee Ray. A spell is involved, it’s a whole thing. This new take, from a script by Tyler Burton Smith, follows a group of kids who get into some scary trouble, à la Stranger Things and It. The threat this time around will be “a technologically advanced toy” (EW), rather than a bug-eyed, fluffy-haired nightmare doll possessed by a murderous maniac. This project is unrelated to the Child’s Play TV series currently in development from original writer Chris Mancini, which will feature the work of Chucky voice actor Brad Dourif. Lars Klevberg, director of the upcoming horror film Polaroid, will helm the film. Production is scheduled to begin in Vancouver later this year. Security will presumably be handled by Burt Macklin, and one hopes we can expect a soundtrack by Paper Boi.